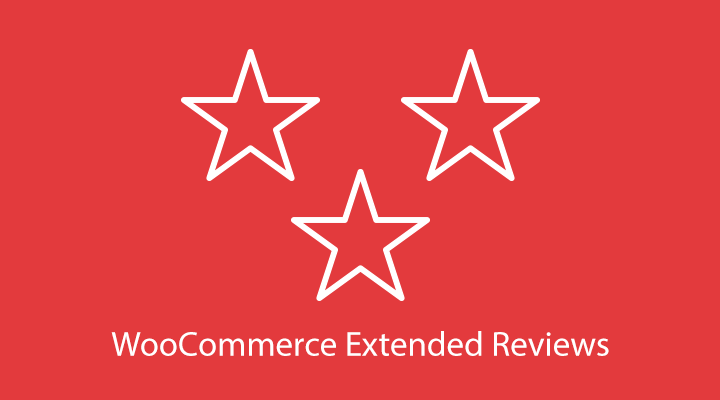 Not too long ago, WooCommerce Extended Reviews was released. This plugin was not released on the same market place as WooCommerce Advanced Shipping, but a new one called Ace Plugins. 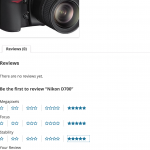 The plugin allows you to setup rating categories where your customers can rate your products on. 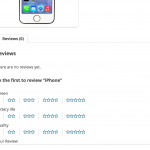 This plugin will allow your customers to give ratings, not only for the just the product, but for example for the product quality, product price, and the shop service. Allowing your customers to rate you and your products on different categories will give better and more accurate reviews. The first column is just for you, to give it a name so its easy to find back for you in the future. 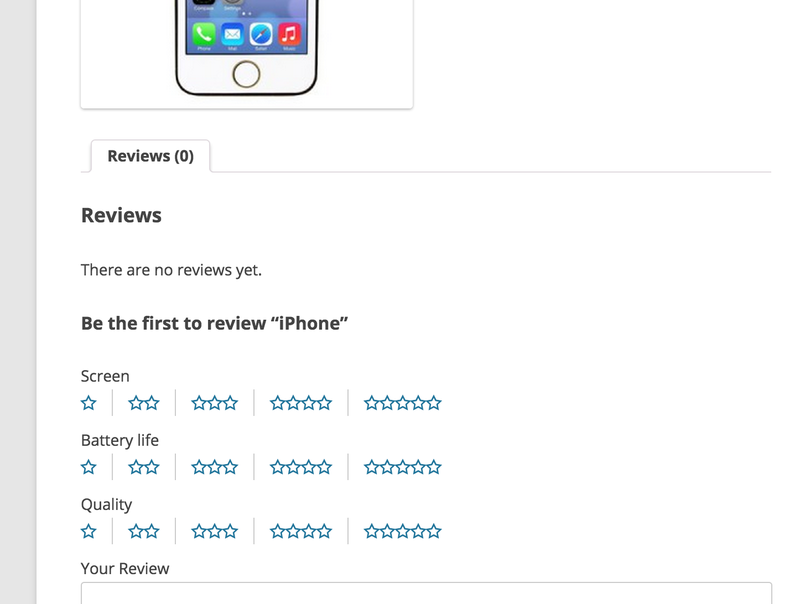 The second column contains the product category where you want the review categories to setup for. This can be one, or multiple categories. The third column contains the rating categories you want your customers to rate the products on. This is a list separated by a new line. 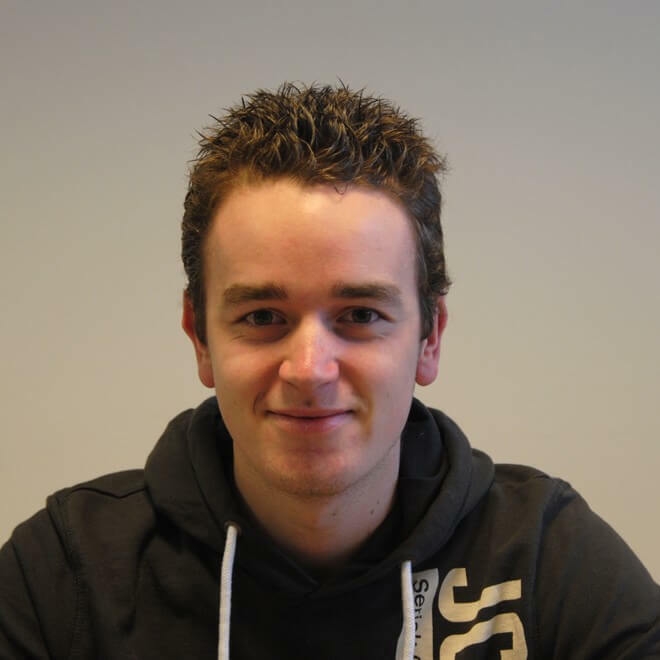 As mentioned at the beginning, you can find WooCommerce Extended Reviews over at Ace Plugins. Pricing starts from $49,- for the full plugin, for 1 site, multi-site licenses are available for value pricing. 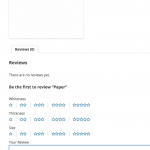 Hi, I have been searching for a review plugin that will allow the customer to leave a review by order rather than product. To be clear, I sell house numbers so a typical order is 3 to 5 numbers per order. 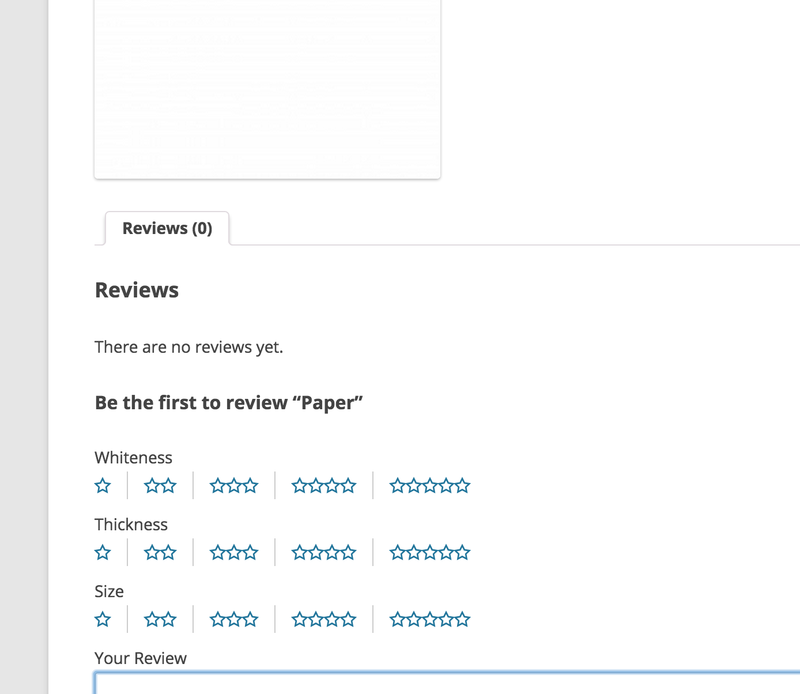 I want the customer to be able to review all of the numbers in the order with a single review and allow me to display that review for each individual number in the order. Hope that makes sense. I have had only one instance where a customer took the time to review each number that they ordered and most of the time it’s a big distraction. They love the numbers they buy from me, but if their address is 1248 Elm St. and they purchased numbers 1,2,4,8 and love them I don’t want or expect them to write a separate review for each number, but rather a review for the order or set of numbers. If they give it 5 stars I would like the review to show for all of the numbers in the order. Will your plugin allow me to do this or could it be modified to do this? Also are the reviews SEO comparable? 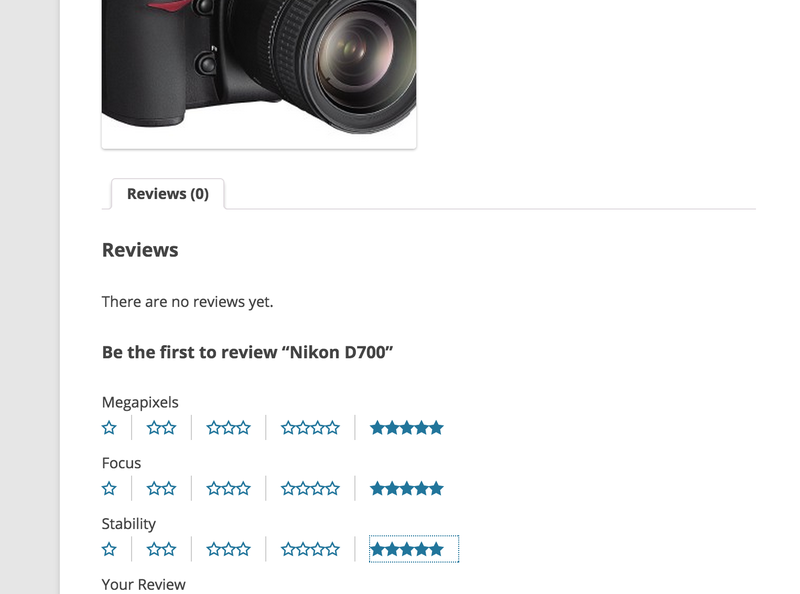 I think you’ll need to search a bit more for an alternative plugin..
I’m looking for something similar to Shawn – I want to show reviews for all products of a given category (like the numbers in Shawn’s use case). For items like this, they are all essentially the same, the “4” isn’t going to be any better or worse than the “3”. I can’t find a plugin, or any hooks or shortcodes to add comments by category. This is what I am looking for right now. Do you have anything like this?